A deliciously chewy candy, Starburst Original Fruit Chews should be on your list. Starburst Original Fruit Chews Chewy Candy were initially named ‘Opal Fruits. Whenever you’re feeling stressed and need to let out some steam, chewy candy is the best. The bright, cheery colors and great taste will have you reaching back for more and more. And when we want a good chew, we reach for Starburst Original Fruit Chews. With this order you will receive 36 packages of 9 original fruit chews each. Flavors include a random assortment of Cherry, Orange, Strawberry and Lemon.36 – 2.07 oz. Packs. 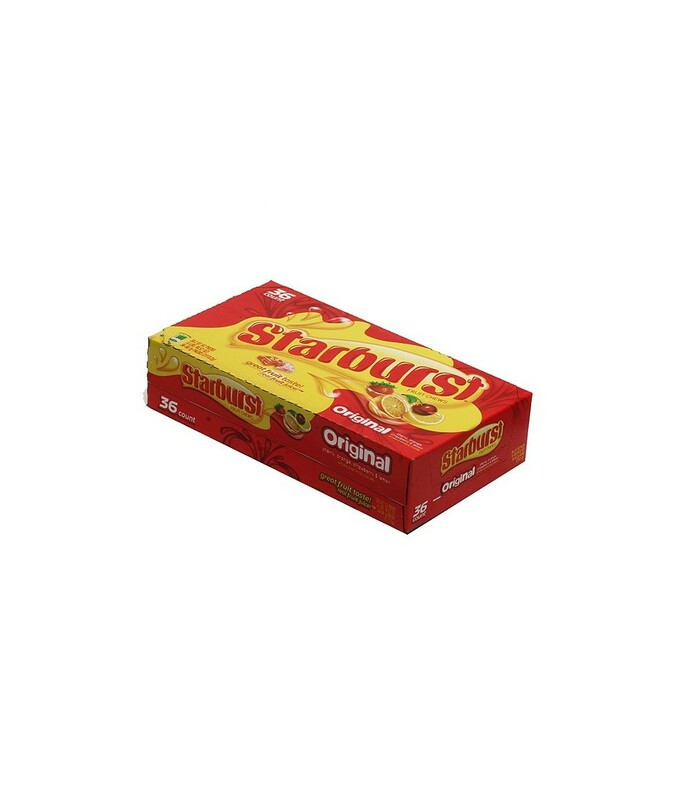 Order STARBURST ORIGINAL in bulk at wholesale price at Volt Candy Online. The cheery colors and great taste has me coming back for more and more. The bright and fantastic taste makes never want to give up on this candy.